When shopping for the best compact car, there are various factors to consider, such as price, reliability, and resale value. Other factors that can affect your choice of vehicle include fuel efficiency, safety, and handling. The best compacts can be found among both domestic and foreign models. Fortunately, compact cars generally sit on the lower end of the pricing spectrum, meaning that even the best ones are within the reach of the average American consumer. You can find compact cars in both domestic and foreign-produced varieties. Two of the six best choices are American brands, and four are made by manufacturers based overseas. Which Is the Best Hybrid Vehicle? The Ford Focus receives high marks in affordability and safety and is ranked the second best affordable compact car by U.S. News and World Report. The Focus offers modern styling and responsive handling, with features like electric power-assisted steering and torque vectoring control providing added safety and control. The National Highway Traffic Safety Administration awarded the Ford Focus a five-star rating in side crash safety and in overall safety. 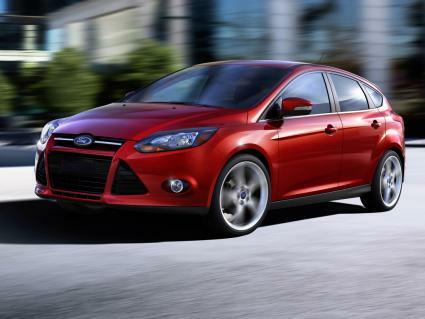 The Ford Focus is available in electric and gas models, and has a base MRSP of $16,310 - $24,115. 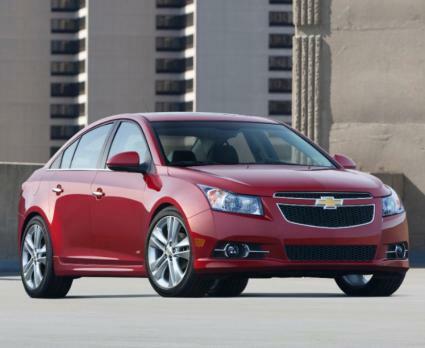 If fuel economy is what you're looking for, the 2014 Chevrolet Cruze might be the vehicle for you. The New York Times calls it "the fossil-fuel mileage champ" - and for good reason. The Cruze Clean Turbo Diesel provides an impressive 46 mpg on the highway, outperforming every other domestic, non-hybrid vehicle. The gas-powered Cruze Eco offers a combined mpg of 31, only slightly less than the Clean Turbo Diesel's combined mpg of 33, and the Eco offers better value without the upscale amenities provided as standard with the diesel, such as leather upholstery and a free maintenance plan. The MSRP starts at $17,270, though the base price for the diesel model starts at $25,985. This Japanese compact has earned high ratings in several areas. 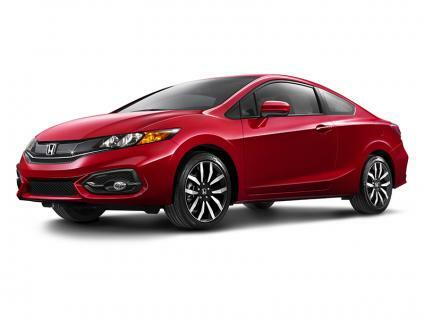 The Honda Civic is rated a 2014 top safety pick by the Insurance Institute for Highway Safety, and Kelley Blue Book rates the Honda Civic the best compact car for resale value. Yahoo! Autos states that Consumer Reports rates this popular vehicle, with new car prices starting at $18,390, the best compact in the used car market. Featuring a continuously variable transmission for peak efficiency and a highway rating of 39 mpg, the economical Honda Civic might just be the car you are looking for. 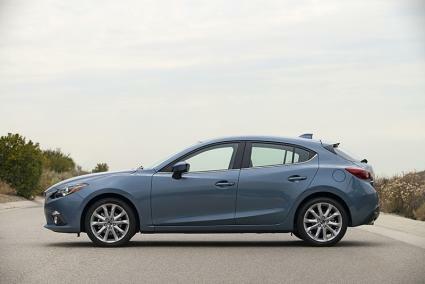 U.S. News and World Report awards Mazda's 2014 Mazda3 the number one ranking in several areas, including best compact hatchback and best affordable compact car. Yahoo! Autos named the Mazda3 the best compact car of 2014. Additionally, Popular Mechanics declared the new Mazda3 the best compact car available, citing the car's handling, comfortable suspension and excellent fuel economy. A six-speed manual transmission and pushbutton start are standard, and a six-speed automatic transmission is optional. With an MSRP of $16,945 - $26,495, depending on the options, the Mazda3 provides the comfort, styling and performance similar to much higher-priced cars in its class. 2014 Mazda 3 © Mazda U.S.A. The Kia Forte sedan comes standard with a six-speed manual transmission. A six-speed automatic transmission is also available. Popular options include heated front and rear seats, Bluetooth, and a rearview camera. 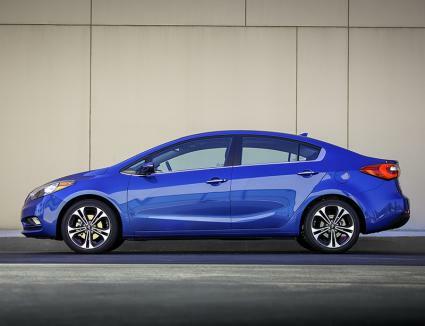 Cars.com ranked the Kia Forte the best compact sedan in 2014, and U.S. News and World Report ranked it number two in the affordable compact cars category. Its roomy trunk, comfortable seating, and competitive pricing of $15,900 - $19,400 make the Kia Forte a solid choice. 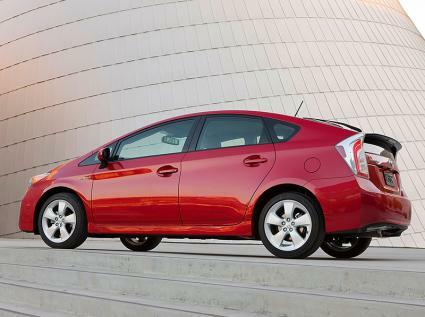 As reported on Inquisitr.com, Consumer Reports rated the Toyota Prius the best value compact for 2014. The hybrid synergy drive system on this gas-electric hybrid allows the Prius to operate solely on electricity at slow speeds, so the car delivers an economical 55 mpg on the highway and a combined mpg of 44. With a base MRSP of $26,750 - $30,395, the Prius commands a higher purchase price than the other top compact cars, but the lower costs to operate the vehicle might make the Prius your best choice in the compact car segment. When you go out to purchase a compact car, make sure that you have done your research. This will help you get the best deal by showing that you know what you're talking about. Don't be afraid to walk off the lot if you don't think you're getting a fair shake. In the first place, it might get you a better deal. Further, you don't want to settle for anything but the best deal possible. Remember that there are no shortage of good compact cars on dealership lots.